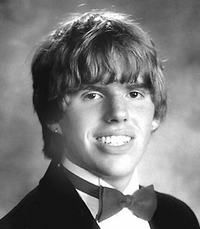 In unrelated tragedies, five Park City High School graduates ages 17-20 passed away between February and September in 2008. In the midst of their grief, these young people’s mothers banded together to create a charity to honor their children. The Park City 5 Memorial Fund raises money to build schools for needy children throughout the world. They also provide five annual scholarships to Park City students to travel and assist with building the schools. Cynthia Blount’s daughter, Connie Michelle Blount, died as the victim of a hit-and-run accident in Lexington, KY, on April 13, 2008. She was 18. Connie was finishing her freshman year at the University of Kentucky as a student in Equestrian Science. Connie began her journey to develop equestrian expertise in Denver, CO, earning more than 150 ribbons and awards. She took her two horses, Luke and Sam, with her to the University of Kentucky where she was a member of the University Equestrian Team. Connie was a vivacious young lady who enjoyed life. Ellen Knell’s daughter, Erica Trudy Knell, age 17, passed away from injuries sustained in an automobile accident. She was an international girl, spending most of her young years traveling the world with her family. She trekked in Nepal, searched for antiques in China, went on safari in Africa, climbed the pyramids in Egypt, pondered in the Garden of Gethsemane, wondered at the Sistine Chapel, and hiked the hills of Park City. 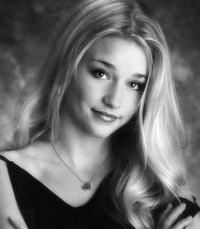 Erika loved to dance and was a member of the Park City High School dance team. She was a gifted gymnast and was twice the Hong Kong all-around champion. Kaye Knoop’s son, Elder Matthew Lawrence Knoop, died from injuries sustained in a hit-and-run accident in Catu, Brazil. He was 20 years old and was in Brazil serving a mission for The Church of Jesus Christ of Latter-Day Saints. A varsity soccer player who loved to ski, Matt attended Utah State University for a year before departing on his mission trip. 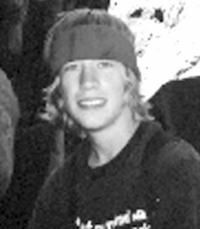 Alice Pennels’ son, Michael Edward Pennels, passed away in his sleep at age 19. Michael’s passion for skiing, snowboarding, and the snow were the reason the Pennels family moved to Park City. A member of the Brant Moles’ Big Mountain ski team for three years, a saxophonist for Mr. Chris Taylor’s jazz band and varsity jazz band for six years, and bassoonist in Taylor’s wind ensemble for three years, and a certified SCUBA diver for seven years, Michael’s interests were many and diverse. Michael’s fearless, adventure-seeking personality lead him to revel in such sports as bungee jumping and sky diving as well as race car driving. 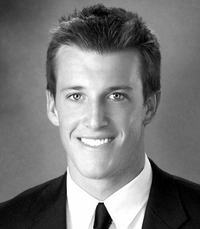 For more information on The Park City 5 Memorial Fund, please visit http://www.parkcity5.com/. This entry was posted in In the News and tagged Charity, Family, Obituaries, Tributes. Bookmark the permalink.